Virtus.pro have been invited to EPICENTER: Moscow! Today’s recipient of a invite to EPICENTER: Moscow is Virtus.pro, the strongest team in the CIS region. VP’s run in the Kiev Major demonstrated that they are more than deserving of a direct invite to our tournament. They were only a game short of victory, and we hope their showing at EPICENTER: Moscow will be just as thrilling and memorable. And there can be no doubt that crowd support will be through the roof here on home soil. 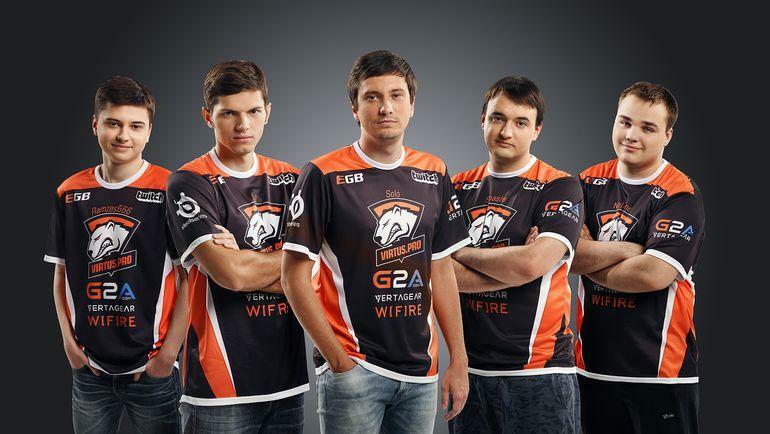 We wish Virtus.pro the best of good luck! I’m very glad that this year, VP’s invite to the Epicenter is uncontroversial as far as sports results are concerned. The guys are psyched up for a good fight, and we’ll do our best to show some beautiful and thrilling Dota in front of a home crowd! I’m very glad to finally be able to play in the Epicenter. After the crazy support we got in Kiev, I hope it will be even more heated in Moscow. See you in a couple of weeks! The rest of the invited teams will be announced very soon; watch our website and social network pages for updates!